. : BIG NEWS and AWESOME outfit! Sorry I haven't posted in a while, life has been hectic! As you guys know, we have awarded our 50th follower with the LE boots. 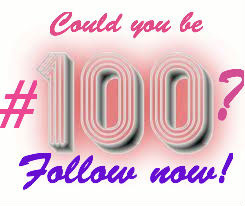 Now we are shooting for the 100th follower, and let me tell you-this ones gonna be BIG! Our lucky 100th follower will win stardollars, LE, and MORE! So tell your friends, and NO CHEATING! More details to come! I love the layering and little details she added-and I especially LOVE her hat (and her socks and boots)! Beautiful-SO chic!